The term “eat your oatmeal!” almost brings a vibe of a punishment to mind, and maybe it was in certain eras due to oatmeal’s healthy yet not overly exciting presence as a breakfast food. As kids get cartoon characters on every sugar filled cereal box on the shelf, the oatmeal option may seem like a punishment; for adults, oatmeal is making a comeback as a breakfast powerhouse when it comes to a healthy start in the morning. The questions about the health of oatmeal have been raised again in recent years as the world tries to figure out what a healthy carb is, if gluten is as bad as everyone says, and of course the never-ending struggle as to how to actually lose weight. There are plenty of positives to be had by including oatmeal as a regular part of your diet; this recent article on PopSugar.com lists the various benefits of oatmeal including a scientific study that showed oatmeal helps lower cholesterol as well as other factors that show why oatmeal is the best breakfast choice if your aim is to lose weight. I think I considered oatmeal to be in the same vein as cereal for a long time (just another carb filled breakfast) until I read some information from WWE Hall of Famer turned fitness and nutrition expert Trish Stratus on how she included steel-cut oats in her regular nutrition plan. Both sources referenced above recommend steel-cut oats or rolled oats as the best oatmeal choices since the instant variety of course contain more additives to speed things up, but we’re all about natural health here so the less additives the better. So if you’re looking for a healthy breakfast that you can even liven up with your own fruit choices or a natural sweetener like honey, oatmeal is a great choice to kick off with good carbs that will help you take on your day! Oatmeal is a great source of dietary fiber and complex carbohydrates. 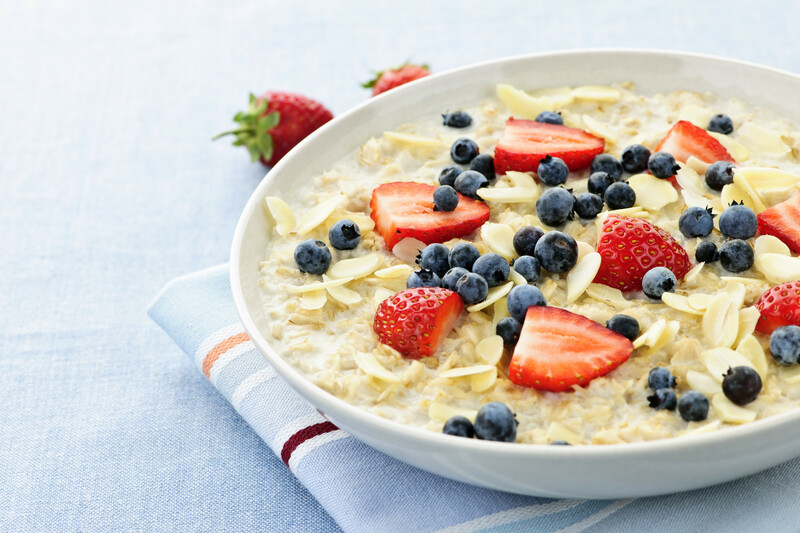 Oats contain powerful antioxidants, which can help prevent aging. Oatmeal is also rich in calcium, magnesium and phosphorus, which are crucial for the health of your bones. Next story 7-Eleven….Your Local Health Food Store?! Previous story Think You’re Ready to Date a Fit Girl? You Might Want to Read This First!